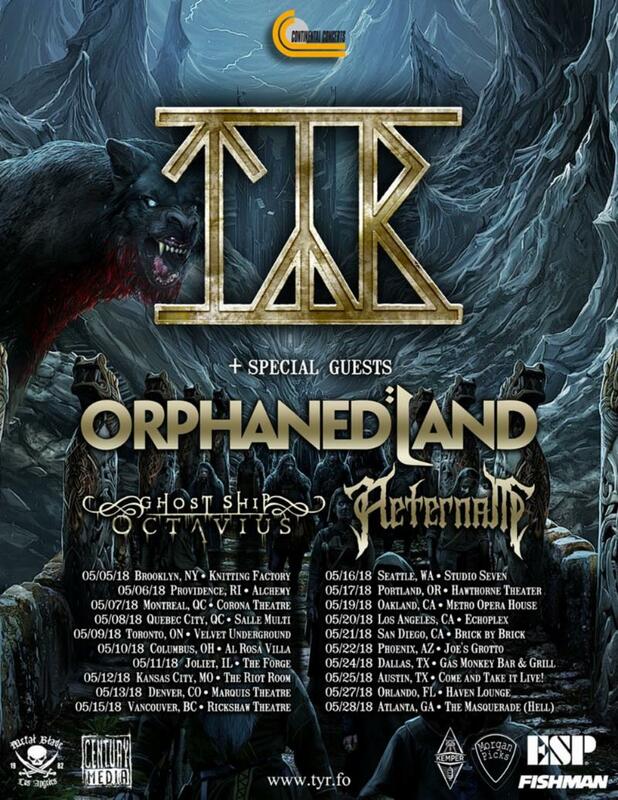 This May, Faroese-based folk metal band TYR will headline a North American tour with Orphaned Land, Ghost Ship Octavius, and Aeternam. The journey will kick off on May 5th in Brooklyn, New York and wind its way through nearly two-dozen cities, coming to a close on May 28th in Atlanta, Georgia. See all confirmed dates below. Next Next post: Nervosa Unveil New Album Details!